The customer service we had from Mark at Containerspace was absolutely amazing the whole time. Simon and I think it's the best customer service we've ever had. Even after delivery of our converted container, the follow up service was perfect. I would definitely recommend them. I wish I could give more than a five star rating! We used containerspace to achieve additional storage at our office. Great cost effective solution and the refurbishment of the container makes for good presentation.Ideal storage solution which is cost effective and hassle free. Frank keeps you updated and their solutions can be customised to your needs (including full colour ranges).Highly recommended. It is rare these days to receive good customer service, especially if you are a single woman seeking assistance in what could be considered a male dominated industry. It is for this reason that I feel compelled to post a review about Containerspace. I went to Containerspace unsure if a container was what I really needed for my new studio. The manager Mark Paterson was extremely helpful and never made me feel foolish when I asked numerous questions about all the possible options they could provide. He never rushed me and followed up on all my unusual requests. What a pleasure to find such service in today’s day and age! I would not hesitate to recommend Container space to anyone considering buying a shipping container. Helpful friendly organised. We bought a container from them. 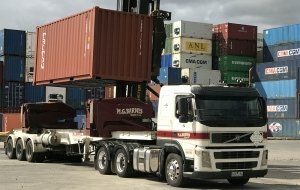 They stored it and then organised transport interstate at a good price. Always cheerfully helpful. They made it so easy for us. Highly recommended.